La Chèvre d’Or, fan of the 2018 Rolex Monte-Carlo Masters!!! 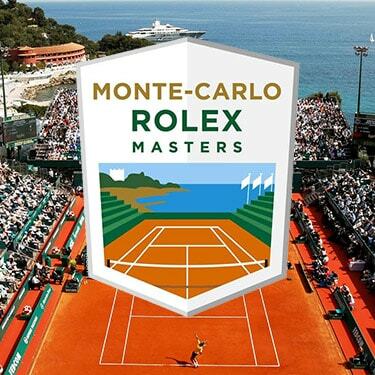 From April 14th to 22nd, the 112th edition of one of the most popular European tournaments (by players and fans alike) will be held: the 2018 Rolex Monte-Carlo Masters. This annual sporting event is organized by SMETT, and the venue, the Monte-Carlo Country Club, offers these high-level athletes a fabulous setting with breathtaking views of the sea, in addition to its clay tennis courts. Qualifications will start on the weekend of April 14th & 15th. The 1st, 2nd and 3rd rounds will continue during the week of April 16th and then end with the quarter-finals, semi-finals, and final the next weekend from April 20th to 22nd. This renowned event welcomes many visitors every year and sees the leaders of world tennis: Nadal, Cilic, Dimitrov, Djokovic, Berdych, etc. The Principality of Monaco and the French Riviera are dream destinations in the eyes of the world. Arriving in spring, hanging out at the water’s edge in the sunshine with mild temperatures, it’s fantastic! It’s an ideal environment for catching great performances, and to explore or enjoy all the treasures of the French Riviera: luxury, gastronomy, culture, art, shopping, etc. The luxury hotel, Château de la Chèvre d’Or, offers an ideal stay for tournament spectators due to the proximity of the site, especially for those who do not wish to stay in the city of Monaco itself. Only 20 minutes from Monte-Carlo, the unique hotel setting allows you to also discover the beauty of the medieval village of Eze with its exotic garden at the top, its artists’ galleries, the Fragonard perfumery, and a multitude of other riches. Our establishment offers exceptional gourmet lunches and dinners for all, prepared by our chef, Arnaud Faye, in our gourmet restaurant, LA CHEVRE D’OR (2 Michelin stars). We also have two other restaurants: the terrace, LES REMPARTS, for lunch, and our new Italian restaurant, LE STAGIONI, for dinner.